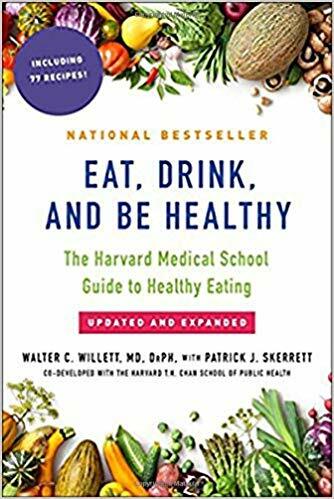 In this revised and updated edition of Eat, Drink, and Be Healthy: The Harvard Medical School Guide to Healthy Eating, Dr. Walter Willett, for 25 years chair of the Department of Nutrition at the Harvard T.H. Chan School of Public Health and Professor of Medicine at Harvard Medical School, draws on cutting-edge research to explain what the USDA guidelines have gotten wrong—and how you can eat right. Based on information gleaned from the acclaimed Nurses’ Health Study and Health Professionals Study, which have tracked the health and eating habits of thousands of women and men for more than thirty years, as well as other groundbreaking nutrition research, Eat, Drink, and Be Healthy provides solid recommendations for eating healthfully and living better and longer. What Can You Believe About Diet? “This textbook is great and the author seems to have such a wonderful sense of humor! Made it fun to read and re-read. I am suggesting the college library get a copy. It was very informative. I am changing my grocery list!